AACSB International research staff writing about data, trends, and practices in business education. At the close of 2017, AACSB International together with the EMBA Council and UNICON completed a research study exploring how business education providers can better align their education models and strategies to meet the needs of the “digital generation.” The study aims to shed light on opportunities business schools have for creating both degree-based and non-degree-based education offerings in light of this population’s learning attitudes and career/professional development motivations. More than 50 percent of respondents who already have graduate business or management degrees remain Extremely/Very Likely to pursue these traditional degrees in the next ten years and 60 percent of respondents are Extremely/Very Likely to pursue MBA or MA/MS in Business. Such findings suggest that advanced management education degrees continue to hold a respected position in the marketplace. However, despite the serious intent to pursue these degrees, respondents do not always find them the most attractive option: among those who are Extremely Likely to pursue an MBA or MA/MS in Business, just 22 percent found established programs to be the most attractive method of pursuing advanced management education vs. a more self-directed approach or a just-in-time set of courses identified with an employer. Results suggest that non-traditional options e.g., certificates and digital badges are gaining credibility and interest, with over 25 percent of respondents indicating that they believe such options can substitute for a formal degree, and 90 percent indicating they see some value in these options as either a substitute, complement, or both. Stay tuned for more announcements and information regarding the study’s results, as well as posts that will delve into areas such as attitudes towards professional growth and learning, motivations, demographic differences, views on credentialing, formal vs. informal learning, and interest in non-traditional educational providers. Historically, AACSB International has classified business school size categories by the number of full-time (FT) faculty reported on the annual Business School Questionnaire (BSQ), according to the following parameters: small (35 or fewer), medium (36-74), and large (75 or more). Since the recent release of the BSQ data from the 2016–17 iteration of the survey, however, we decided to explore some other potential parameters for size categorization, to see whether any significant differences would result. For the purpose of this experiment, we chose total overall enrollment, the numbers of full-time equivalent (FTE) faculty (the sum of the headcount of FT faculty and the reported FTE of part-time faculty), and student/faculty ratios for both FT and FTE faculty totals as new, alternate parameters. As the data show, of these different ways that business schools can be categorized by size, some cause the categorization to differ more significantly than others from our standard classification scheme. For example, the alternate parameters for FTE faculty and for total enrollment each retain the majority of schools in each size category from the standard FT faculty parameters. By contrast, the differences from the standard parameters in the number of schools that fall into each size category for the alternate parameters for student/faculty ratios are far greater. Source: AACSB 2016–17 Business School Questionnaire (BSQ). 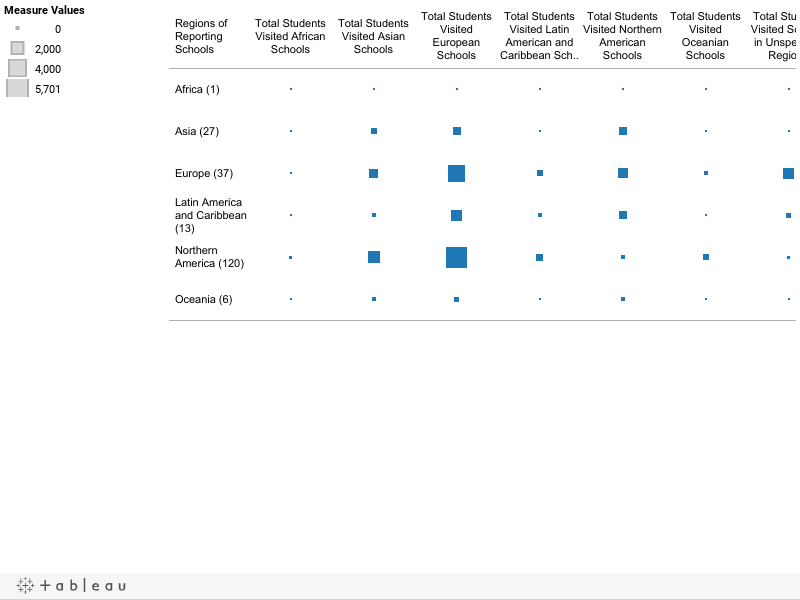 The figures in Table 1 indicate the proportion of schools in each set that did not change size category when alternate parameters were applied. Further, any change in size category can be in either direction. Depending on the alternate parameters used, there were some schools that shifted from large to small, and vice versa, and others that moved only one step up or down. The numbers clearly indicate that the effect of alternate parameters is greater when applied to private institutions than when applied to public institutions, in that public institutions are less likely than private ones to change size category when alternate parameters are applied, regardless of which alternate parameter was used. Being cognizant of such variabilities can be useful for school administrators, particularly when selecting peer schools for benchmarking in DataDirect. Look out for Part II of this series, which will delve into the effects of the alternate parameters in conjunction with the types of degrees offered by institutions. Trends within underrepresented minority populations at AACSB schools and within education in general, has long been a topic of significant interest to the public. As Elliot Davis mentions in an earlier blog post, AACSB continues to support and explore initiatives that aim to increase minority representation – both by students and faculty – within business schools. An initial observation is that faculty counts for the three listed minority populations have increased in that five year period, while undergraduate enrollment has seen significant drops except for the Hispanic population, which has grown by more than 14 percent. In light of this growth, however, the undergraduate student to faculty ratio for the Hispanic population at AACSB schools remains high, actually increasing in that time period to 146 Hispanic students for every Hispanic faculty member. From this data one can assume that although AACSB schools are experiencing growth in Hispanic undergraduate enrollment and faculty numbers, the rate of growth is still not fast enough for improvements in lower student to faculty ratios in the undergraduate classroom, particularly in comparison with the other groups. Does this data mirror minority trends and representation at your business school? What other observations do you think are interesting to note? Over the last dozen years, AACSB has worked diligently to compile the most comprehensive database for business education in the world. Everything from institutional characteristics to effective practices to global collaborations is now collected and available, primarily as a member benefit to member schools’ faculty and students, but we also serve as a source of information for the media as well. Understandably, this volume of data can be sliced and diced a variety of ways to explain the present state of business education, and to look for trends that may indicate future movements in enrollment, finances, admissions, governance, etc. As you can see, what the data are really showing is a decline in Masters’ enrollment for both men and women. However, the rate of decline for women is slower. This makes it appear there is greater female visibility when, in fact, it more a case of less visibility among male students. Why there is a decline and why it is affecting men more than women are topics for another day, but the point here is that unless you see the data in its totality, you may be led to the wrong conclusions. It is the responsibility of every unbiased researcher and analyst to present their findings in the most thorough way possible so that any interested parties, be they student, faculty, or media, are properly informed. As mentioned in part one, the increase in the percentage of African-Americans completing business doctoral degrees in the U.S. has been rapid. Many of these degrees are being earned at institutions that are not AACSB-accredited. You can see in the following chart that in the mid 2000’s the gap between completions occurring at AACSB-accredited institutions and non AACSB-accredited institutions began to increase and has since grown considerably over the past decade. In fact, since 2004, there have been more completions in the U.S. each year by African-Americans at schools that lack AACSB accreditation than at AACSB-accredited schools. When looking at Hispanics, the same trend does seem to be occurring though to a much lesser degree. Here’s a look at that data. Hispanics have remained closely distributed between both AACSB and non AACSB-accredited schools, but have seen more total completions at non AACSB-accredited schools consistently since 2006. While the gap has grown, the difference is still slight compared to what we have seen with African-Americans. The sample sizes are much smaller when looking at Native-Americans, so it is harder to project this group’s trajectory than the others. Here are the completions for Native-Americans. In recent years, there have been more Native-American business doctoral completions at non AACSB-accredited schools, but the difference has been only 2 to 3 degree completions, on average. Not much can be drawn from such a small sampling of individuals, but it is interesting to track the relationship between the two completions types. Diversity amongst business doctoral graduates is certainly an important focus for numerous parties, notably including The PhD Project. Pulling the start data back even further to 1985, there has been an unequivocal rise in graduates from the highlighted minority groups at AACSB-accredited schools. A disproportionately large increase has also been observed among graduates from schools that lack AACSB accreditation in the U.S. What does this mean for diversity amongst business doctoral graduates, and their qualifications? Do you think these trends will continue to progress moving into the latter half of the decade and beyond? Are U.S. business PhD programs increasing the proportion of minority graduates? That was a question posed to me recently and explored in the charts below. No doubt the findings will be of interest to supporters of and participants in The PhD Project, an innovative program established by the KPMG foundation in 1994 with the mission to increase the proportion of PhD graduates who are considered African-American, Hispanic-American, and Native-American. AACSB, along with several other organizations, has been a steadfast supporter of The PhD Project and its goal to strengthen management education by increasing the diversity of qualified faculty for business schools. Data from the Integrated Postsecondary Education Data System (IPEDS) provided by the National Center for Education Statistics helps to shed light on trends with respect to the business doctoral completions for these groups over the past two decades – from 1994 (the start of The PhD Project) to 2012 (the most recent available data set). The following graph illustrates completions, as a percentage of total completions, for the aforementioned minority groups from 1994 to 2012, at all schools in the United States (including non AACSB-accredited schools). Linear trendlines are provided to offer a better sense of the overall trends occurring. African-Americans have seen the greatest percentage increase, up to 13.45% (2012) from 2.48% (1994). Hispanics have seen positive growth (though slight) and Native-Americans have seen relatively little change. When narrowing the completions to only those at AACSB-accredited schools (using the current list of AACSB-accredited schools), we see some stark differences. The slope of the trendline for African-Americans at U.S. AACSB-accredited schools is far less steep than at all U.S. schools. A potential reason for this difference can likely be accounted for (in part) by the increase in PhD accessibility through the rise of certain non AACSB-accredited schools, such as University of Phoenix, Walden University, Argosy University, and Capella University. There are certainly many other factors that have gone into these changing trendlines, including socio-economic, cultural, and geographic differences. Tracking this data moving forward will be of particular interest to organizations such as The PhD Project and AACSB International. What do you think about this? Are these trends positive for management education and for workplace diversity? In an upcoming blog post, I will focus in on the specific minority groupings and provide more targeted data regarding business doctoral completions attributed to each. As I mentioned in my last post, this time I will be discussing the data from AACSB’s Collaborations Survey on student exchanges reported by our member schools, in the context of the educational level of the students who choose to study abroad. As before, in this context, studying abroad refers to a year or semester spent abroad at a school other than the one at which the student is actually enrolled, rather than being an "internationally mobile student," who undertakes an entire degree program in a country other than their home. Source: AACSB Collaborations Survey 2011-12. Something I find interesting about the numbers of exchange students from the reporting schools is the extreme lopsidedness in the proportion of undergraduate vs. graduate students from schools in Northern America. Nearly 83 percent of outbound exchange students from Northern American reporting schools were undergraduates. By contrast, undergraduates constituted only about 56 percent of the total number of outbound exchange students from reporting schools in the regions with the next highest percentage, namely Asia and Oceania. Indeed, the proportion of undergraduates may be even lower in Oceania (and Europe) given the sizeable number of exchange students from those regions whose level was not reported. Admittedly, given the limited data from Africa and Oceania, as well as the fact that the educational level of the majority of hosted students in the latter was not reported, it's difficult to make any valid statements about those regions. Hopefully, greater participation in the Collaborations Survey in future years from those regions will enable us to do that. Among the regions with better representation, however, once again Northern American reporting schools appear to have much more focus on exchange students at the undergraduate level than do reporting schools from anywhere else. So why is it that business students from Northern American schools appear to study abroad as undergraduates so much more frequently than as graduate students? It is true that Study Abroad/Student Exchange partnership agreements reported by Northern American schools were nearly twice as likely to include an undergraduate component as to include a master's component. However, the same was true of those reported by Asian schools. Clearly then, while the predilection for that type of agreement may have something to do with the uneven proportions we've observed, it is not the only factor. In AACSB’s Collaborations Survey, we collect information on many different types of partnerships and activities that our members pursue with partner institutions around the world. An increasingly large number of schools have reported such activity over the years, and the sheer number of collaborations between them has grown by leaps and bounds. One thing that is more difficult to track, however, is the amount of use that a given partnership agreement sees. Clearly, schools in Europe are the most common study abroad destination for students of AACSB members from any region (save Africa, and that not by much). Likewise, by and large AACSB members host more students from Europe than anywhere else (where the home region is specified). The exceptions to this observation are Asia, where intra-regional mobility is more common, and Africa, where again the lack of more than a single reporting school likely skews the results. Please note as well that in this context, studying abroad refers to a year or semester abroad at a school other than the one at which the student is actually enrolled, rather than being an "internationally mobile student," who undertakes an entire degree program in a country other than their home. These observations make sense for two reasons. First, the European community has long had transnational education programs in place such as Alfa, Edulink, Erasmus Mundus, and Tempus, which help to enable such interactions between schools in various world regions. As a result, European students are more likely than those of any other region to engage in study abroad. Source: AACSB Collaborations Survey 2011-12. May not sum to 100% due to rounding. Watch for my next post, where I'll talk about educational levels in this context. Do Female-Led B-Schools Render Higher Female Enrollment? From the AACSB Data and Research Blog team, Happy International Women’s Day to all the women who take on the many roles—deans, faculty, administrators, students—at AACSB member schools and management education worldwide! In honor of this special day, the AACSB Data and Research Blog team thought a post showing some of AACSB’s gender data would be appropriate to share with our readers. Increasing female representation, especially in leadership positions, at business schools has long been a challenge that many schools have been working hard to overcome. In the past five years, we have seen some improvement in the female representation among dean (or equivalent) positions at AACSB business schools; however, there is still room for more! Salary Survey data in the table below shows a snapshot of female representation in the dean (or equivalent) position in 2012-2013 and five years prior, in 2007-2008. Although an increase from 17% female representation to 18.5% is not very large, we are still seeing some growth in the actual number of female deans serving at AACSB member schools. AACSB’s 2006-2007 and 2011-2012 Deans Surveys showed similar changes with female representation growth, from 17% in 2006-2007 to 18% five years later. Based on these numbers, it doesn’t seem that female deanship makes a significant difference in female enrollment. But what we can infer is that female enrollment, especially at the MBA and EMBA levels, is still rather low; but appears closer to 50/50 at the Specialized Master’s level. Encouraging females to pursue business education and leadership positions has been an important agenda item for many schools, as well as other various educational institutions and associations. More work needs to be done in this space, but I do predict that in the next five years our data will show more equal representations among females and males. What about these data are most interesting to you? I immediately noticed the significant difference among undergraduate and doctoral students outside the host country in the Northern American region. The data illustrate a similar pattern in the European region, including a majority of students at the doctoral level studying outside their country of origin. However, the opposite trend is seen in Western Asia & North Africa, where we see the highest proportion of students outside the host country at the undergraduate level, and the lowest at the doctoral level. However, motivations for student mobility differ among regions, as well as among students. Some students choose to study abroad in pursuit for a higher quality education; others may believe the international experience will enhance their resume making them more attractive to recruiters. In the European region, the presence of longstanding intergovernmental programs such as ERASMUS and the implementation of the Bologna Process clearly make a positive impact on the ability and inclination of students to pursue higher education across national borders. Regionally, the percentage of internationally mobile graduate students enrolled at AACSB member schools is significantly lower in Latin America & the Caribbean, in Eastern, South-Eastern, & Southern Asia, and in Western Asia & Northern Africa, vs. in Europe and in Oceania. Northern America has a notably high majority of internationally mobile students at the doctoral level, while Oceania even has a majority at the masters-specialist level. Could these trends be a reflection of where mobile students think the better quality programs are, at those respective levels? Do internationally mobile doctoral students see Northern America and Europe as the hub for business doctoral research, while students seeking a specialized master’s program see the best offerings in the countries of Oceania? There are a number of possible reasons for these distributions that the data alone can only suggest, not prove. However, it will be interesting to see how these distributions will change, particularly in emerging economies, where the presence of AACSB membership among business schools continues to grow. How Prepared Are Business School Deans? Follow the latest AACSB data, research, and news on social media.